In geological literature, grossular has often been called grossularite. Since 1971, however, use of the term grossularite for the mineral has been discouraged by the International Mineralogical Association. 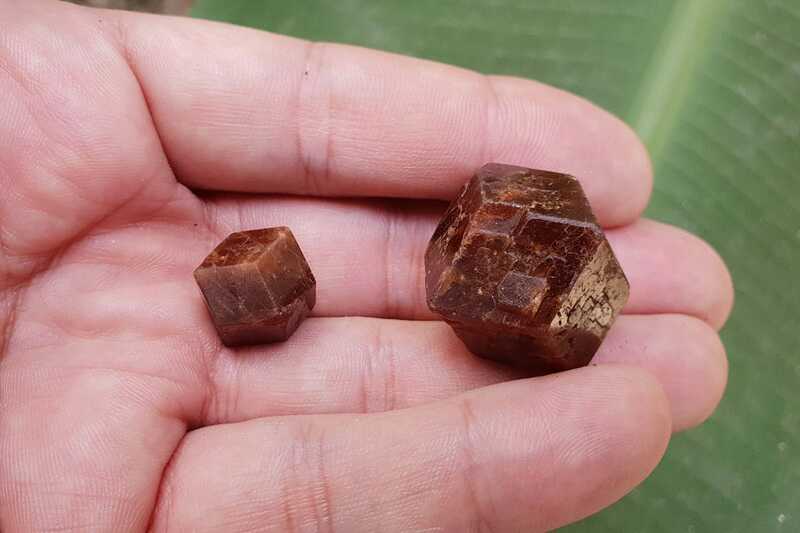 Hessonite or “cinnamon stone” is a common variety of grossular with the general formula: Ca3Al2Si3O12. 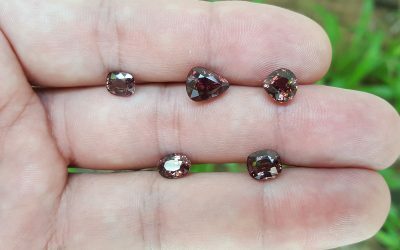 The name comes from the Ancient Greek: hesson, meaning inferior, an allusion to its lower hardness and lower density than most other garnet species varieties. It has a characteristic red color, inclining to orange or yellow, much like that of zircon. It was shown many years ago, by Sir Arthur Herbert Church, that many gemstones, especially engraved gems (commonly regarded as zircon), were actually hessonite. The difference is readily detected by the specific gravity, that of hessonite being 3.64 to 3.69, while that of zircon is about 4.6. Hessonite has a similar hardness to that of quartz (being about 7 on the mohs scale), while the hardness of most garnet species is nearer 7.5. Hessonite comes chiefly from Sri Lanka and India, where it is found generally in placer deposits, though its occurrence in its native matrix is not unknown. It is also found in Brazil and California. Grossular is found in contact metamorphosed limestones with vesuvianite, diopside, wollastonite and wernerite. 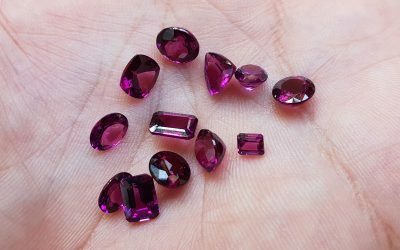 A highly sought after variety of gem garnet is the fine green Grossular garnet from Kenya and Tanzania called tsavorite. 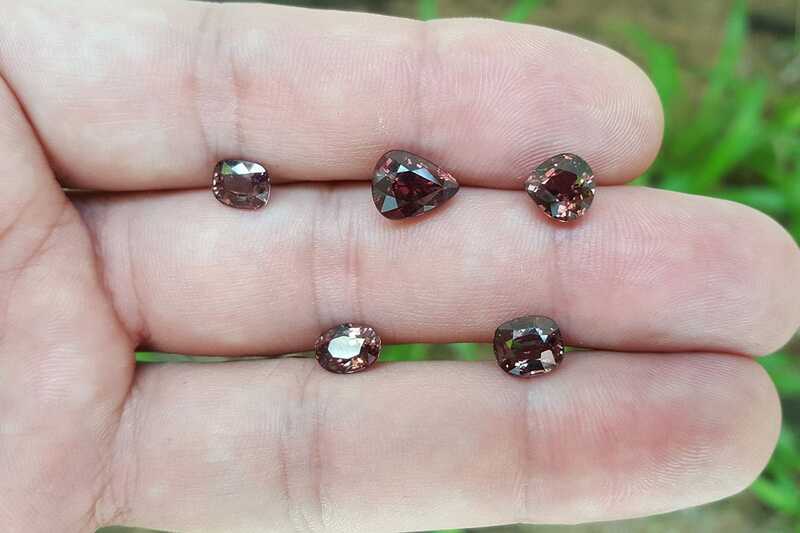 This garnet was discovered in the 1960s in the Tsavo area of Kenya, from which the gem takes its name. 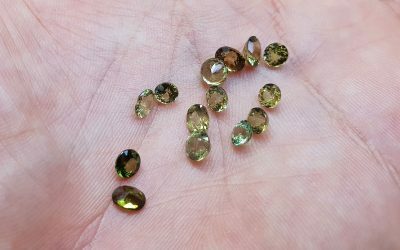 Grossular is known by many other names, and also some misnomers, colophonite – coarse granules of garnet, ernite, gooseberry-garnet – light green colored and translucent, olyntholite / olytholite, romanzovite, and tellemarkite. Misnomers include South African jade, garnet jade, Transvaal jade, and African jade.